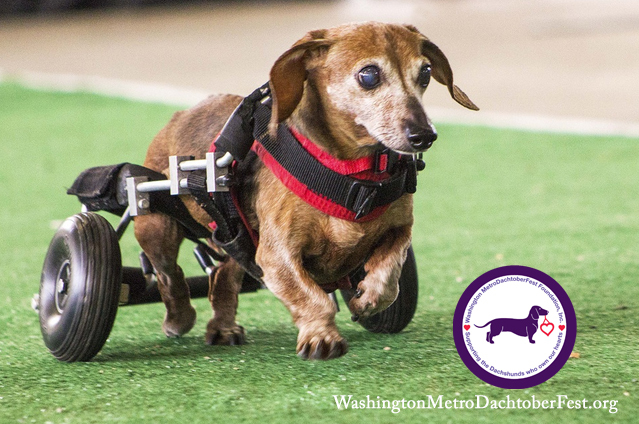 Washington Metro DachtoberFest Foundation is a 501(c)(3) nonprofit charitable organization. The Foundation is very much dependent on the generosity of corporate and individual donations. Currently, funds raised are used to defray the costs of the Washington Metro DachtoberFest, held on the first First Saturday in October in Frederick, Maryland, for dachshund and other dog lovers alike, to come together to enjoy a day of doxie fun, learn about serious health issues that may affect their dachshund and maybe even meet a prospective fur-family member through one of the many rescue organizations who exhibit at the Fest. By the year 2020, the Foundation is planning to be one of the few charities that will be able to provide financial assistance for qualified low-income families directly to veterinarians for extraordinary veterinary care, without which the family companion dachshund would be removed from the home and euthanized. Washington Metro DachtoberFest Foundation, Inc.
Foundation, Inc. are also accepted through PayPal﻿.